ANTHONY YARDE’S NEXT FIGHT ANNOUNCED! ANTHONY YARDE is back in title action when he faces Dariusz Sek at London’s o2 on June 23. 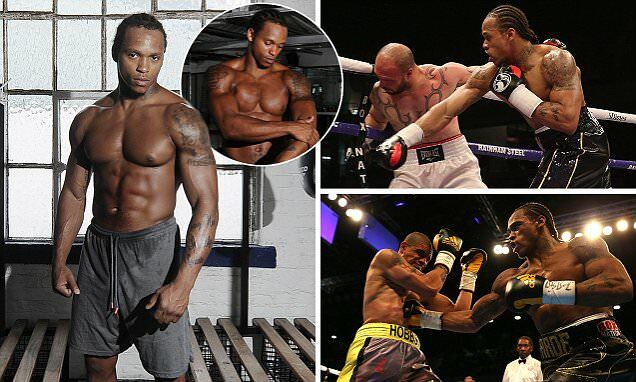 Unbeaten Yarde has been in a hurry winning 14 of his 15 ﬁghts inside the distance during a short, but explosive career. Yarde is already ranked number two by the WBO but faces a long night when he defends the WBO Intercontinental Light Heavyweight title against his Polish rival, live on BT Sport. Sek, 31, has lost just three times in 33 contests and never been stopped in a nine year professional career. It is the sort of experience 26-year-old Yarde needs according to his trainer Tunde Ajayi, who hopes this test will give his man valuable rounds. Ajayi said: “100 per-cent, this is the type of ﬁght that Anthony needs at this stage of his career. “Sek is a credible opponent and lost a close ﬁght to Robin Krasniqi who won the European title earlier this year. “Hopefully we will get some rounds, but we don’t know whether we will the way Anthony has been performing. “People say Anthony needs to step up, but this is one. Hosea Burton is mentioned as an opponent for Anthony, but Sek is ranked higher than Hosea on Boxrec. Sek is the ﬁrst southpaw that Yarde has faced in his amateur or professional career. Yarde v Sek is part of a talent stacked card headlined by Martin Murray who challenges Mexico’s WBC silver middleweight champion Roberto Garcia. In a battle for the vacant English heavyweight championship KO King Daniel Dubois meets trash talking Tom Little. Others stars on the bill include Ohara Davies, Darryl Williams, Johnny Garton, Raza Hamza, Archie Sharp, Umar Sadiq and Harvey Horn.